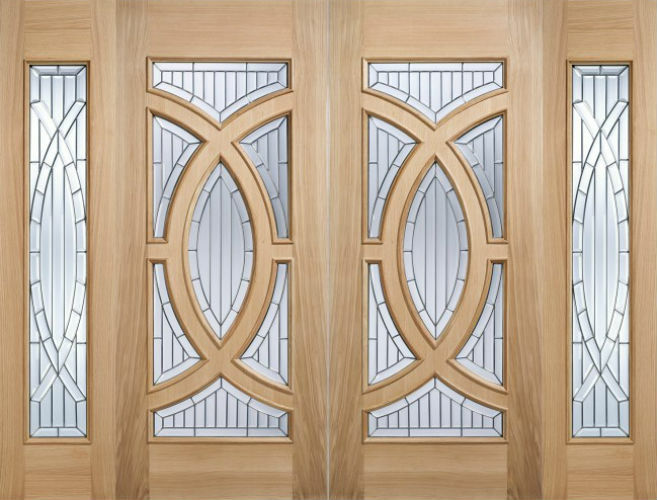 Make a great first impression with the Majestic door, featuring zinc clear bevelled double glazed panels and decorative shaped Oak panels. Sold as single leaf doors. 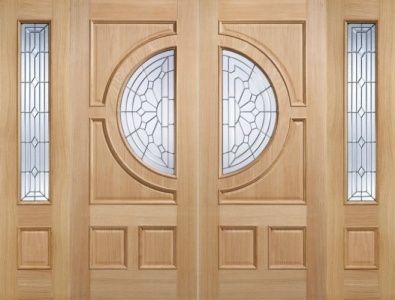 Doors do not have rebated meeting stiles.